^ a b first edited by Fowler, H.W. ; Fowler, F.G. (1984). Sykes, J.B. (ed.). The Concise Oxford Dictionary of Current English (7th ed.). Oxford: Clarendon Press. ISBN 978-0-19-861132-5. ^ "USGS Landform Glossary" (PDF). United States Geological Survey. Retrieved 3 October 2013. ^ Jiang, Hong; Dun, Hongchao; Tong, Ding; Huang, Ning (15 April 2017). "Sand transportation and reverse patterns over leeward face of sand dune". Geomorphology. 283: 41–47. Bibcode:2017Geomo.283...41J. doi:10.1016/j.geomorph.2016.12.030. ^ Godfrey, P. J. (1 September 1977). "Climate, plant response and development of dunes on barrier beaches along the U.S. east coast". International Journal of Biometeorology. 21 (3): 203–216. Bibcode:1977IJBm...21..203G. doi:10.1007/BF01552874. ISSN 0020-7128. ^ Houser, C; Hapke, C; Hamilton, S (15 August 2008). "Controls on coastal dune morphology, shoreline erosion and barrier island response to extreme storms". Geomorphology. 100 (3–4): 223–40. Bibcode:2008Geomo.100..223H. doi:10.1016/j.geomorph.2007.12.007. ^ Claudino-Sales, V; Wang, P; Horwitz, MH (15 March 2008). "Factors controlling the survival of coastal dunes during multiple hurricane impacts in 2004 and 2005: Santa Rosa Barrier Island, Florida". Geomorphology. 95 (3–4): 295–315. Bibcode:2008Geomo..95..295C. doi:10.1016/j.geomorph.2007.06.004. ^ Ronica, D (27 October 2008). "How sand dunes work". HowStuffWorks. Retrieved 4 December 2018. ^ Morton, RA (1 May 1976). "Effects of Hurricane Eloise on beach and coastal structures, Florida Panhandle". Geology. 4 (5): 277–80. Bibcode:1976Geo.....4..277M. doi:10.1130/0091-7613(1976)4<277:EOHEOB>2.0.CO;2. ^ "Herring Cove Beach - Cape Cod National Seashore (U.S. National Park Service)". www.nps.gov. Retrieved 29 July 2018. ^ "Race Point Beach - Cape Cod National Seashore (U.S. National Park Service)". www.nps.gov. Retrieved 29 July 2018. ^ "Province Lands Bike Trail - Cape Cod National Seashore (U.S. National Park Service)". www.nps.gov. Retrieved 29 July 2018. The Reverend Mother must combine the seductive wiles of a courtesan with the untouchable majesty of a virgin goddess, holding these attributes in tension so long as the powers of her youth endure. For when youth and beauty have gone, she will find that the place-between, once occupied by tension, has become a wellspring of cunning and resourcefulness. Dune is a 1984 American epic science fiction film written and directed by David Lynch and based on the 1965 Frank Herbert novel of the same name. The film stars Kyle MacLachlan as young nobleman Paul Atreides, and includes an ensemble of well-known American and European actors in supporting roles. It was filmed at the Churubusco Studios in Mexico City and included a soundtrack by the rock band Toto, as well as Brian Eno. Set in the distant future, the film chronicles the conflict between rival noble families as they battle for control of the extremely harsh desert planet Arrakis, also known as "Dune". The planet is the only source of the drug melange—also called "the spice"—which allows prescience and is vital to space travel, making it the most essential and valuable commodity in the universe. The main protagonist of the film is Paul Atreides, portrayed by Kyle MacLachlan. Paul is the scion and heir of a powerful noble family, whose inheritance of control over Arrakis brings them into conflict with its former overlords, House Harkonnen. Paul is also a candidate for the Kwisatz Haderach, a messianic figure in the Bene Gesserit religion. Besides MacLachlan, the film features a large ensemble cast of supporting actors, including Patrick Stewart, Dean Stockwell, Virginia Madsen, José Ferrer, Sting, and Max von Sydow, among others. After the novel's initial success, attempts to adapt Dune as a film began as early as 1971. A lengthy process of development followed throughout the 1970s, during which Arthur P. Jacobs, Alejandro Jodorowsky, and Ridley Scott unsuccessfully tried to bring their visions to the screen. In 1981, executive producer Dino De Laurentiis hired Lynch as director. The film was negatively reviewed by critics and was a box-office failure, grossing $30.9 million from a $40 million budget. Upon release, Lynch distanced himself from the project, stating that pressure from both producers and financiers restrained his artistic control and denied him final cut privilege. At least three versions have been released worldwide. In some cuts, Lynch's name is replaced in the credits with the name Alan Smithee, a pseudonym used by directors who wish not to be associated with a film for which they would normally be credited. The extended and television versions additionally credit writer Lynch as Judas Booth. The film has developed a cult following over time, but opinion varies among fans of the novel and fans of Lynch's films. Dune is a science fiction media franchise that originated with the 1965 novel Dune by Frank Herbert. Dune is frequently cited as the best-selling science fiction novel in history. It won the 1966 Hugo Award and the inaugural Nebula Award for Best Novel, and was later adapted into a 1984 film and a 2000 television miniseries. Herbert wrote five sequels, and the first two were presented as a miniseries in 2003. The Dune universe has also inspired some traditional games and a series of video games. Since 2009, the names of planets from the Dune novels have been adopted for the real-world nomenclature of plains and other features on Saturn's moon Titan.Frank Herbert died in 1986. Beginning in 1999, his son Brian Herbert and science fiction author Kevin J. Anderson published a number of prequel novels, as well as two which complete the original Dune series (Hunters of Dune in 2006 and Sandworms of Dune in 2007), partially based on Frank Herbert's notes discovered a decade after his death.The political, scientific, and social fictional setting of Herbert's novels and derivative works is known as the Dune universe, or Duniverse. Set tens of thousands of years in the future, the saga chronicles a civilization which has banned all forms of computers, or "thinking machines", but has also developed advanced technology and mental and physical abilities. Vital to this empire is the harsh desert planet Arrakis, only known source of the spice melange, the most valuable substance in the universe. Dune is a 1965 science fiction novel by American author Frank Herbert, originally published as two separate serials in Analog magazine. It tied with Roger Zelazny's This Immortal for the Hugo Award in 1966, and it won the inaugural Nebula Award for Best Novel. It is the first installment of the Dune saga, and in 2003 was cited as the world's best-selling science fiction novel.Set in the distant future amidst a feudal interstellar society in which various noble houses control planetary fiefs, Dune tells the story of young Paul Atreides, whose family accepts the stewardship of the planet Arrakis. While the planet is an inhospitable and sparsely populated desert wasteland, it is the only source of melange, or "the spice", a drug that extends life and enhances mental abilities. As melange can only be produced on Arrakis, control of the planet is a coveted and dangerous undertaking. The story explores the multi-layered interactions of politics, religion, ecology, technology, and human emotion, as the factions of the empire confront each other in a struggle for the control of Arrakis and its spice.The scion and heir of the Atreides family, Paul is believed to be a candidate for the Kwisatz Haderach, a messianic figure whose coming is fortold by the Bene Gesserit sisterhood. On Arrakis, Paul and his family are betrayed by the Emperor and the former overlords of the planet, House Harkonnen, and Paul seeks refuge with the Fremen, the nomadic natives of Arrakis. Paul becomes a messianic leader of the Fremen and is dubbed Muad'Dib. He is trained in the Fremen ways, including the riding of gigantic sandworms, whose life cycle is important in the production of melange. Paul trains the Fremen into a fighting force, and leads an assault on the Emperor and the Harkonnen for control of Arrakis. The book ends with Paul's defeat of the Emperor, and upon assuming the Imperial throne himself, he expresses doubt that even he can control the Fremen or stop the coming revolution that he has unleashed on the universe. Dune II: The Building of a Dynasty (titled Dune II: Battle for Arrakis in Europe and Dune: The Battle for Arrakis for the North American Mega Drive/Genesis port respectively) is a real-time strategy Dune video game developed by Westwood Studios and released by Virgin Games in December 1992. It is based upon David Lynch's 1984 movie Dune, an adaptation of Frank Herbert's science fiction novel of the same name. While not necessarily the first real-time strategy (RTS) video game, Dune II established the format that would be followed for years to come. As such, Dune II is the archetypal "real-time strategy" game. Striking a balance between complexity and innovation, it was a huge success and laid the foundation for Command & Conquer, Warcraft, and many other RTS games that followed. Frank Herbert's Children of Dune is a three-part science fiction miniseries written by John Harrison and directed by Greg Yaitanes, based on Frank Herbert's novels Dune Messiah (1969) and Children of Dune (1976). First broadcast in the United States on March 16, 2003, Children of Dune is the sequel to the 2000 miniseries Frank Herbert's Dune (based on Herbert's 1965 novel Dune), and was produced by the Sci Fi Channel. Children of Dune and its predecessor are two of the three highest-rated programs ever to be broadcast on the Sci-Fi Channel. In 2003, Children of Dune won a Primetime Emmy Award for Outstanding Special Visual Effects, and was nominated for three additional Emmys. Frank Herbert's Dune is a three-part science fiction television miniseries based on the eponymous novel by Frank Herbert. It was directed and adapted by John Harrison. The ensemble cast includes Alec Newman as Paul Atreides, William Hurt as Duke Leto, and Saskia Reeves as Jessica, as well as James Watson, P. H. Moriarty, Robert Russell, Ian McNeice, and Giancarlo Giannini. The series was produced by New Amsterdam Entertainment, Blixa Film Produktion and Hallmark Entertainment. It was first broadcast in the United States on December 3, 2000, on the Sci Fi Channel. It was later released on DVD in 2001, with an extended director's cut appearing in 2002.A 2003 sequel miniseries called Frank Herbert's Children of Dune continues the story, adapting the second and third novels in the series (1969's Dune Messiah and its 1976 sequel Children of Dune). Both miniseries are two of the three highest-rated programs ever to be broadcast on the Sci Fi Channel. Frank Herbert's Dune won two Emmy Awards in 2001 for Outstanding Cinematography and Outstanding Special Visual Effects in a miniseries or movie, and was nominated for a third Emmy for Outstanding Sound Editing. The series was also praised by several critics, including Kim Newman.The miniseries was shot in Univisium (2.00:1) aspect ratio, although it was broadcast in 1.78:1. Dune word construction could be classified into three domains of vocabulary, each marked with its own neology: the names and terms related to the politics and culture of the Galactic Empire, the names and terms characteristic of the mystic sodality of the Bene Gesserit, and the barely displaced Arabic of the Fremen language. Fremen share vocabulary for Arrakeen phenomena with the Empire, but use completely different vocabulary for Bene Gesserit-implanted messianic religion.Due to the similarities between some of Herbert's terms and ideas and actual words and concepts in the Arabic and Hebrew languages — as well as the series' "Islamic undertones" and themes — a Middle Eastern influence on Herbert's works has been noted repeatedly. This is a list of dune fields not on Earth which have been given official names by the International Astronomical Union. 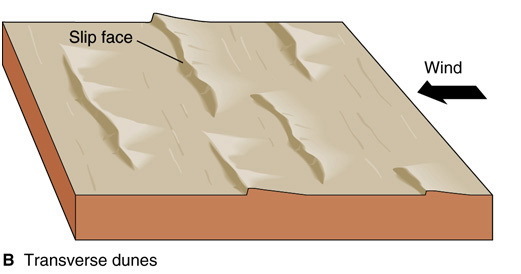 Dune fields are named according to the IAU's rules of planetary nomenclature. The relevant descriptor term is undae. As of now, the only two solar system planets, besides Earth, with named dune fields are Venus and Mars. Dune fields have also been discovered on Saturn's moon Titan, and a field of giant ripples has been identified on comet 67P/Churyumov–Gerasimenko. Melange (), often referred to as simply "the spice", is the name of the fictional drug central to the Dune series of science fiction novels by Frank Herbert, and derivative works. In the series, the most essential and valuable commodity in the universe is melange, a drug that gives the user a longer life span, greater vitality, and heightened awareness; it can also unlock prescience in some humans, depending upon the dosage and the consumer's physiology. This prescience-enhancing property makes safe and accurate interstellar travel possible. Melange comes with a steep price, however: it is addictive, and withdrawal is fatal. Harvesting melange is also hazardous in the extreme, as its only known source is the harsh desert planet Arrakis, and melange deposits are guarded by giant sandworms. Multiple organizations of the Dune universe dominate the political, religious, and social arena of the fictional setting of Frank Herbert's Dune series of science fiction novels, and derivative works. Set tens of thousands of years in the future, the saga chronicles a civilization which has banned computers but has also developed advanced technology and mental and physical abilities through physical training, eugenics and the use of the drug melange. Specialized groups of individuals have aligned themselves in organizations focusing on specific abilities, technology and goals. Herbert's concepts of human evolution and technology have been analyzed and deconstructed in at least one book, The Science of Dune (2008). His originating 1965 novel Dune is popularly considered one of the greatest science fiction novels of all time, and is frequently cited as the best-selling science fiction novel in history. Dune and its five sequels by Herbert explore the complex and multilayered interactions of politics, religion, ecology and technology, among other themes. We've a three-point civilization: the Imperial Household balanced against the Federated Great Houses of the Landsraad, and between them, the Guild with its damnable monopoly on interstellar transport. As Frank Herbert's Dune (1965) begins, the known universe is ruled by Shaddam IV, the 81st Padishah Emperor of House Corrino, whose power is secured by his control of the brutally efficient military force known as the Imperial Sardaukar. One balance to Imperial power is the assembly of noble houses called the Landsraad, which enforces the Great Convention's ban on the use of atomics against human targets. Though the power of the Corrinos is unrivaled by any individual House, they are in constant competition with each other for political power and stakes in the omnipresent CHOAM company, a directorship which controls the wealth of the entire Old Empire. The third primary power in the universe is the Spacing Guild, which monopolizes interstellar travel and banking through its proprietary use of melange-mutated Guild Navigators to "fold space. "The matriarchal Bene Gesserit possess almost superhuman physical, sensory, and deductive powers developed through years of physical and mental conditioning. While positioning themselves to "serve" mankind, the Bene Gesserit pursue their goal to better the human race by subtly and secretly guiding and manipulating human bloodlines and the affairs of others to serve their own purposes. "Human computers" known as Mentats have been developed and perfected to replace the capacity for logical analysis lost through the prohibition of computers. The patriarchal Bene Tleilax, or Tleilaxu, are amoral merchants who traffic in biological and genetically engineered products such as artificial eyes, "twisted" Mentats and a type of clone called a ghola. Finally, the Ixians produce cutting-edge technology that seemingly complies with (but sometimes pushes the boundaries of) the prohibitions against computers, thinking machines and conscious robots put in place 10,000 years before as a result of the Butlerian Jihad. The doctors of the Suk School are the universe's most competent and trusted; those who have received the "Suk Imperial Conditioning" are incapable of inflicting harm. The Swordmasters of Ginaz are an elite group of master swordsmen whose fighting skills are prized and unmatched. Equally fierce in battle are the native Fremen of the desert planet Arrakis, known as Dune. Naturally honed to excellence in harsh conditions rivaling the planet on which the Imperial Sardaukar are trained, the Fremen are misunderstood and underestimated by the other powers in the universe.Arrakis is the only natural source of the all-important spice melange, and by leading the Fremen to seize control of the planet in Dune, Paul Atreides is able to depose Shaddam and become ruler of the known universe. With a bloody jihad subsequently unleashed across the universe in Paul's name but out of his control, the Bene Gesserit, Tleilaxu, Spacing Guild and House Corrino plot to dethrone him in Dune Messiah (1969). Seeing the eventual extinction of mankind through prescient vision, in Children of Dune (1976) Paul's son Leto II devises a plan to save humanity but becomes a symbiote with the sandworm of Arrakis to gain the extended lifespan needed to see this plan to its end. Thirty-five hundred years later in God Emperor of Dune (1981), Leto still rules the universe as a benevolent tyrant, with the help of his all-female army, the Fish Speakers. He denies any spiritual outlets other than his own compulsory religion, and maintains a tight monopoly on melange and space travel. Through his own selective breeding program among the descendants of his twin sister Ghanima, Leto finally achieves Siona, whose actions are hidden from prescient vision. He engineers his own assassination, knowing it will result in rebellion and revolt but also in an explosion in travel and colonization. The resultant chaos and severe famine on many worlds cause trillions of humans to set off into the freedom of unknown space and spread out across the universe in a diaspora later called the Scattering. Fifteen hundred years later, as Heretics of Dune (1984) begins, the balance of power in the Empire rests among the Ixians, the Bene Gesserit and the Tleilaxu. The Spacing Guild has been forever weakened by the development of Ixian machines capable of navigation in foldspace, practically replacing Guild Navigators. Ixians are at their apex with their alliance with the Fish Speakers; but Bene Gesserit analysts see them as a failing power, because Ixian society has become a bureaucracy and no great inventions have come out of the workshops of Ix for centuries. The Bene Gesserit control the sandworms and their planet, now called Rakis, through their influence over the Rakian Priesthood that worships the sandworms as the Divided God, Leto II, and now actively participate on interstellar politics and even have their own standing armies. But the Tleilaxu have also discovered how to synthetically produce melange, and they are preparing to subjugate the rest of humanity. As a large influx of people begin to return from the Scattering, the Bene Gesserit find their match in a violent and corrupt matriarchal society known as the Honored Matres. A bitter and bloody war erupts between the orders, but in Chapterhouse: Dune (1985) it ultimately becomes clear that joining the two organizations into a single New Sisterhood with shared abilities is their best chance at survival against the approaching enemy who had driven the Honored Matres into the Old Empire.